Small, weeping evergreen tree, conifer (H 8-10 m, depands as well on staking, W 3-4 m). Crown irregular, picturesque. Bark red-brown, rough, thick, fibrous. Branches distinctly hanging. 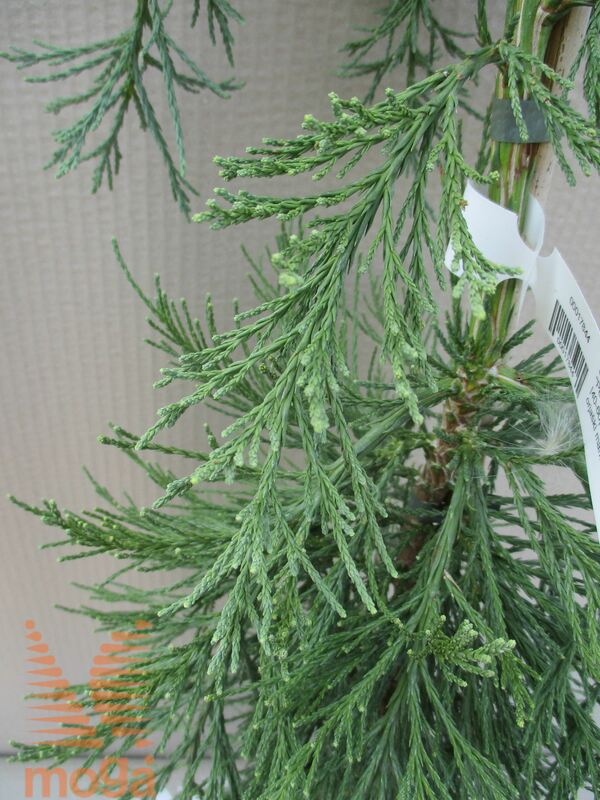 Needles scalelike to lanceolate (0,5-0,7 cm), sharply pointed, dark green to blue-green. Flowers in oval inflorescence, unremarkable. Fruits cones, thick, ovate (5-8 cm), dark brown. Needs well-drained soils.